Rum Ragged’s new album is called The Hard Times, but the current times for the band are anything but. Rum Ragged's new album is called The Hard Times — but the current times for the band are anything but. 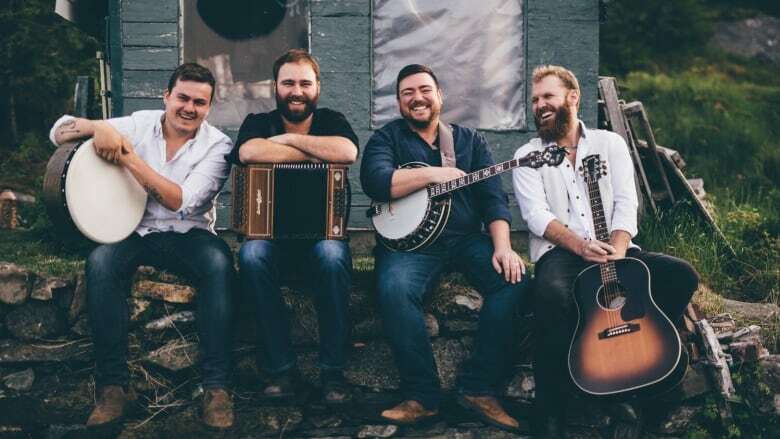 The group has been touring extensively across North America, the United Kingdom and the Caribbean, and has received an armful of MusicNL and ECMA awards and nominations. "We were driving, I think it was in Ontario, down the highway," said Rum Ragged's singer and guitarist Mark Manning. "And we kind of realized that we had mistakenly made a theme through everything." That theme, inadvertently, was hardship. The original lineup of Manning and Aaron Collis, accordion and vocals, has expanded to include Anthony Chafe on bodhran and Michael Boone on bass and banjo. "It's our full length [album] with Mike and Anthony, so it's starting to sound like the sound we had in our heads in the first place," said Collis. The Hard Times contains songs written by some of the band's favourite songwriters from veteran musician Jim Payne, to emerging singer songwriter Kat McLevey, to the title track from Collis's stepfather's uncle. "It was a cool experience and we're very happy with the finished product," said Manning.